What can I say about this photo? 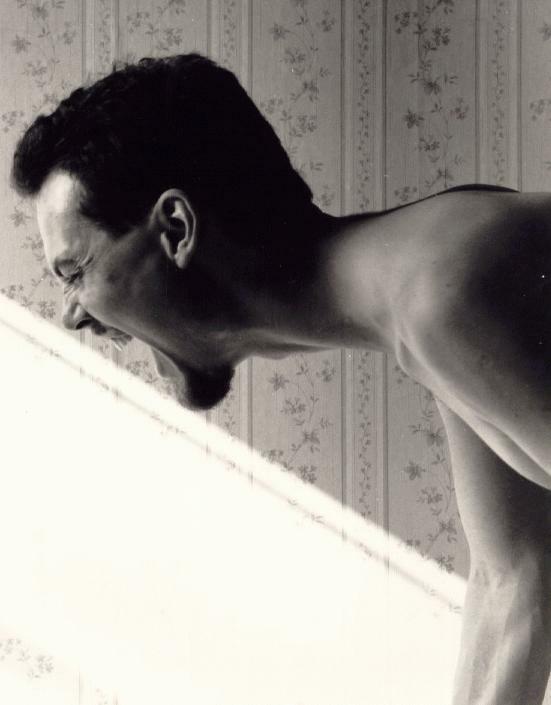 It's a self-portrait I took in my apartment in Hamilton in 1991. The interpretations I've heard have ranged from yelling (more or less my intention when I took the photo) to throwing up to eroticism.